Dennis Quaid seems like such a nice guy, but after you watch this leaked video, you might have a different opinion on the At Any Price actor. A supposed leaked video of Quaid is gathering quite a bit of attention, as it shows the actor losing his cool on a film set. The 44-second clip, which looks to be filmed using a cell phone, shows him ranting about zombies, babies and being on a very unprofessional set. There’s no confirmation about when the clip was filmed, but in it you can hear Quaid screaming, “What the f***? Keep going! I am acting and this dickhead wanders onto my set. Someone offscreen can then be heard saying the actor’s name in an attempt to calm him, but it has the completely opposite effect. “Don’t f***ing ‘Dennis’ me,” he begins. “I am doing my job here. I am a pro! This is the most unprofessional set I have ever been on! While the meltdown does appear to be pretty realistic, there is, of course, the chance that it is all a hoax. And some fans have definitely been suggesting that it is a fake skit. What do you think? 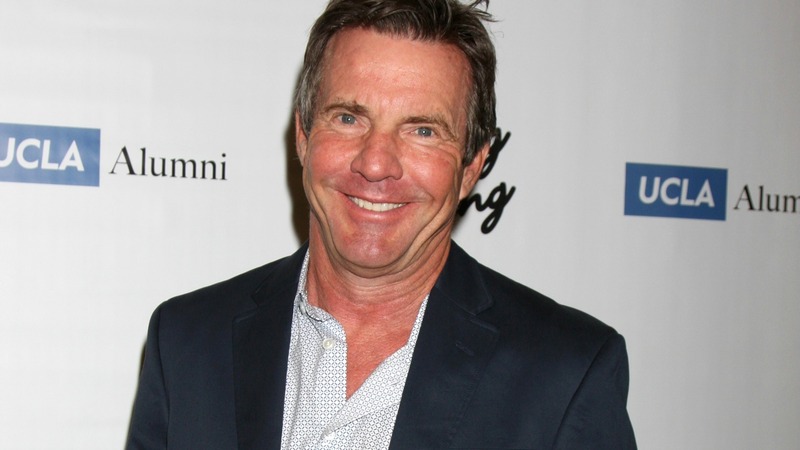 Watch Dennis Quaid unleash his very NSFW wrath on a film set below. But be warned, there is explicit language. UPDATE, April 15: Jimmy Kimmel announced on his show last night that he was not responsible for Dennis Quaid’s outburst. Kimmel said he awoke to find that people were attributing him with this video as one of his pranks. Much to everyone’s dismay, this really is Quaid losing his mind. “You play like 50 pranks, and suddenly people don’t trust you anymore,” Kimmel said. Sorry, folks, this freak-out is the real deal. UPDATE, April 15: Guess what? It was a hoax, after all! Funny or Die revealed the whole thing was a setup and released the following video breaking the whole thing down.